June 2018 - A Life From Scratch. As promised on my Instagram last week, I am delivering the Italian Sub Chopped salad recipe. I tested this one out for Father’s Day because it seemed oh so manly and it was a hit all around. Ladies included. Everyone loves a sub sandwich. And when you can hold the carbs? Genius. This one highlights all the usuals that you’d find on the popular sandwich: salami, provolone, shredded romaine, tomatoes, pepperocinis, sliced red onion plus a little surprise with the garbanzo beans. Everything is chopped up into perfect fork size pieces and tossed together with an oreganoy olive oil dressing. (I actually ran out of oregano so threw in some Italian seasonings as well which worked lovely). 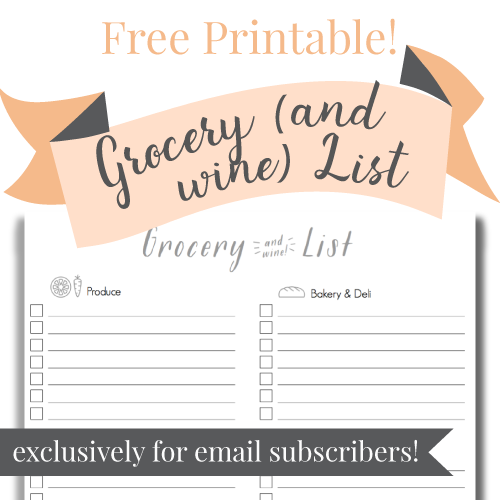 Get this one going for your next family and friends gathering. It’s a perfectly crisp and refreshing salad for summer! Make dressing by whisking dressing ingredients together. To make the salad, fold the chickpeas, red onion, provolone, salami, pepperoncini (including seeds and juice) into the dressing, one at a time to marinade a bit. Halve the tomatoes lengthwise and season with 1 1/2 teaspoons sea salt. Set aside until ready to serve. 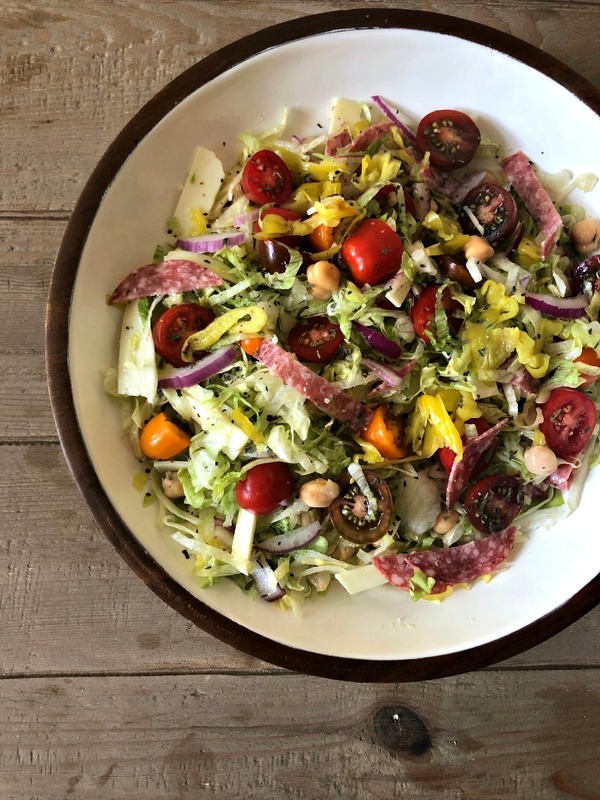 When ready to serve, add the tomatoes, lettuce and radicchio to the salad bowl, along with a couple of generous pinches of oregano, and toss to combine with the remaining ingredients hanging out in the dressing. Adjust seasonings to taste, adding any reserved dressing if needed. Serve immediately. What better way to keep it meat free then with a beautiful dish to highlight the best of the summer produce. 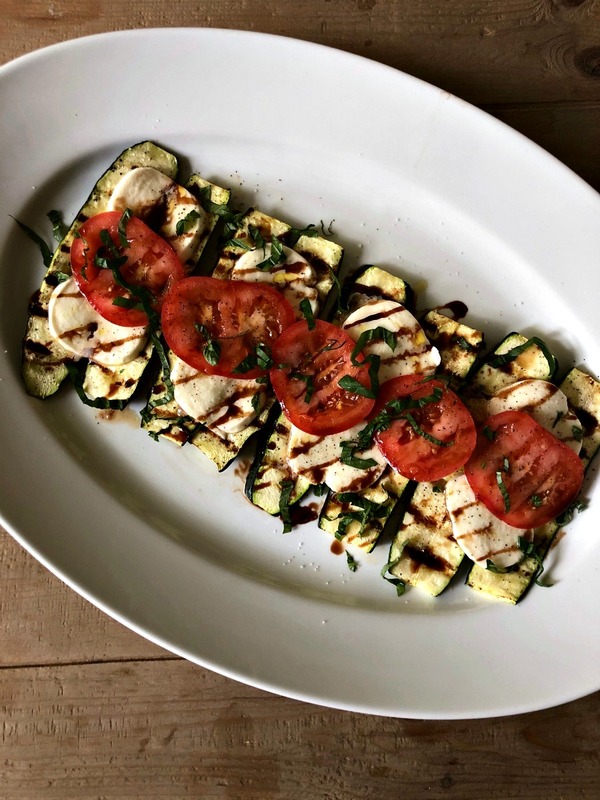 This grilled zucchini caprese does just exactly that. Elegant in the most simple of ways, this makes a perfect side dish or main dish if you are trying to keep things meat free. The best part? What you see is what you get. Zucchini, which you quickly grill over medium heat. Then on top goes some melty mozzarella. Follow it up with some sliced up summer tomatoes (heirloom are the best). And you end it all with freshly chopped basil, a drizzle of olive oil, salt, and some balsamic glaze. I keep things easy here and just grab some at the store but you can totally make a glaze yourself at home. Could not be easier, more delicious, and let’s be honest, pretty! I made this one for cooking club which is always a time to try and impress and it was a hit all around. Get this one going for your next gathering or a meat free dinner this week. Crusty bread on the side would be a nice addition. I so hope you enjoy! Preheat your grill to medium heat. Prep your zucchini with a little olive oil, salt and pepper. Grill for a few minutes on each side, until there are nice char marks but zucchini still has a strong texture. Remove from grill and add mozzarella. Top with sliced tomatoes, sprinkle on the basil, salt and pepper. Drizzle the glaze on top and serve. Yippee! It’s time for another fashion series on A Life From Scratch! I so love putting these together for you all, and I really hope you enjoy them. 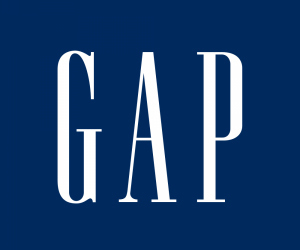 Each season that goes by I’m picking my favorite go to items for your wardrobe. For this summer season, I’m highlighting a lot of fun choices with COLOR but also keeping things classic and appropriate for easy day to day wear. Be sure to pay attention to my Instagram Story today as I will be showing many of these pieces live in action. Don’t miss out! 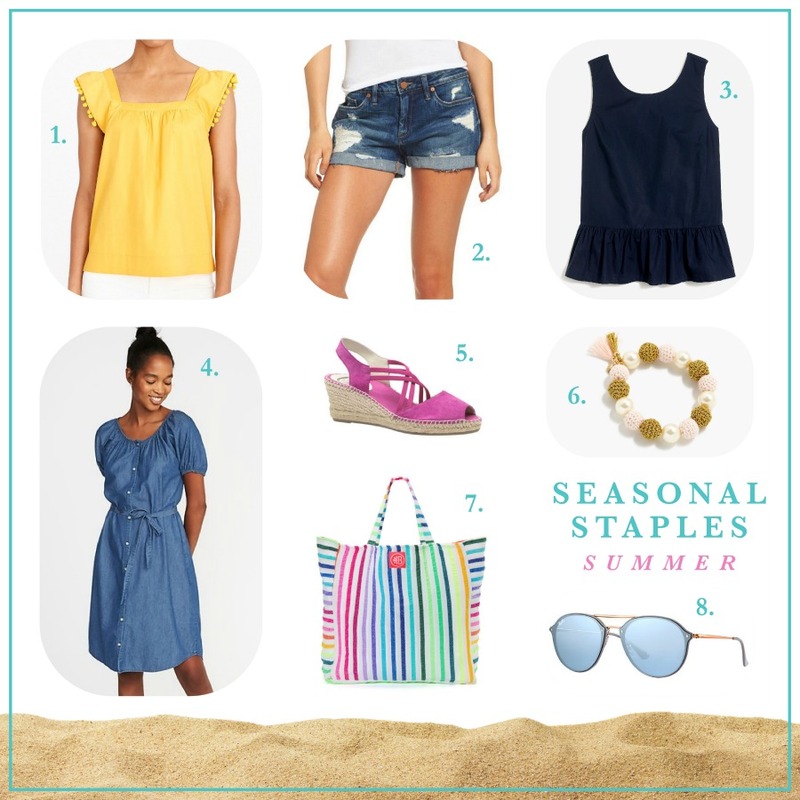 J Crew Factory has been rocking the fun affordable choices for summer lately. This sunny yellow pom pom top is perfectly paired with denim shorts or your go to white pants. It also comes in white (love), and black. Speaking of denim, I get asked all the time about my denim shorts that I live in. These are my favorite. So much so that I bought another pair this year just incase they were ever were to discontinued. The distressing is perfect, they look great with a plain white tee or a festive top and wedges. The best. Back to J Crew factory for this adorable peplum tank top. Comes in red too, and a variety of ginghams. All complete with cute bows on the upper back. I mean come on. You’ve got to have a daily go to dress and this denim one works perfectly whether you are playing at the park with the kiddos or grabbing lunch with a friend. Flats for day. Wedges for night. Boom. A colored crochet bead bracelet screams summer time fun. I’m trying to be better about accessorizing and this bracelet makes it easy. Ah, meet my new bag and the love of my life. Ok the last thing I needed was another reusable bag but I could not resist the striped rainbow fun. My friend Lauren asked what I was going to use it for. Oh you know, strolling through the farmers markets…..ha. Like that ever happens. A girl can dream, right? I did use it to pack up for the lake and it seriously made me super happy. So fun. And last but no least, these sunglasses have been all the rave on my Instagram story. They are the blaze double bridge model and come in six different colors. My favorites? Classic black and the violet blue. Well that’s a wrap! Hope you’ve found an idea or two to make getting dressed in the morning just a bit easier…and fun! I have the loveliest baseball friends. I really do. With all of this time together through rain, sleet, bugs, and 95+ degrees, we’ve become friends. Good friends, actually. I smile when I think of this team that L is apart of and I can only hope down the road Beckett is apart of such a lovely one as well. Quirks and all. What do we talk about during those two (OMG sometimes three+) hour games? Everything under the sun. But of course food seems to be a popular topic. I love when people let me know they made a recipe of mine or even packed it for the game. (Although hey, where is my portion people?!) Recently my friend Nina introduced me to her family’s favorite grilled chicken and we are hooked. 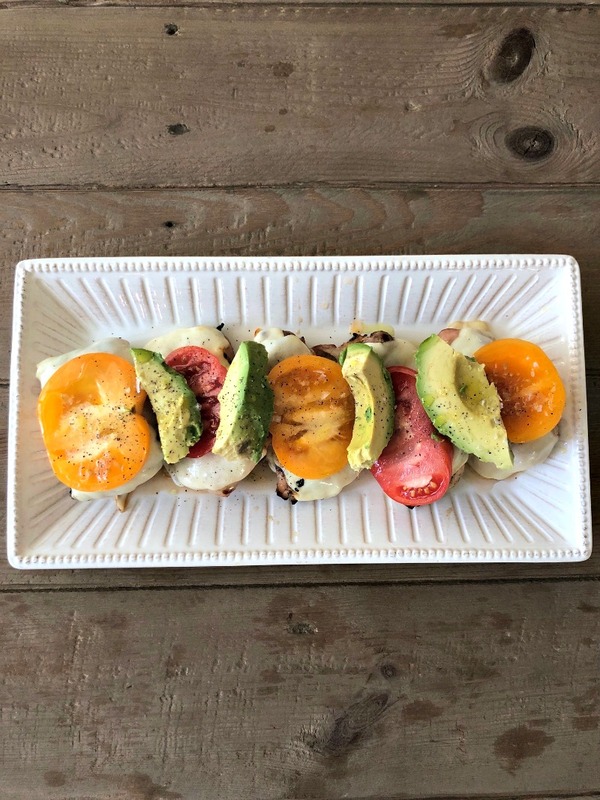 It’s a nice change from our usual, and the addition of the melty cheese, sliced avocado, and tomato on top is just killer and so spot on for summer. Well done Nina! Thanks for sharing. Combine all marinade ingredients (up until chicken) and whisk together. Place chicken in a ziplock bag and pour marinade in. Let hang out for a few hours or up to overnight. Preheat grill to medium heat. Grill chicken, 4-5 minutes per side. Add the sliced cheese near the end. Remove from grill and set on a platter, topping with the tomato and avocado. It doesn’t get any prettier than this for Meatless Monday does it? I could just dive right in. And I have, oh I have. There isn’t a more simple way to show off all the beautiful fresh summer produce than this summer spinach salad. Chop everything up and layer on top of a bed of spinach. You get to pick what you want here. I went with peaches, avocados, raspberries, kiwi, and strawberries but anything goes. Cherries would be a fun addition as well or watermelon. For cheese I went with feta although blue cheese would kickass (I just have a lot of blue cheese haters in my life….I KNOW….it’s beyond annoying). And then of course the world is your oyster with nuts….anything goes. I toasted up some chopped up walnuts. This is a beautiful dish to entertain with, especially since you can make the salad dressing (poppyseed) ahead of time. I also chop everything up and layer a few hours before and just pop in the fridge. Come party time just give everything a healthy drizzle of dressing and gently toss. It doesn’t get more summer than that, does it? This could be my entire meal or it would pair perfectly for our favorite grilled chicken for a crowd. Enjoy! 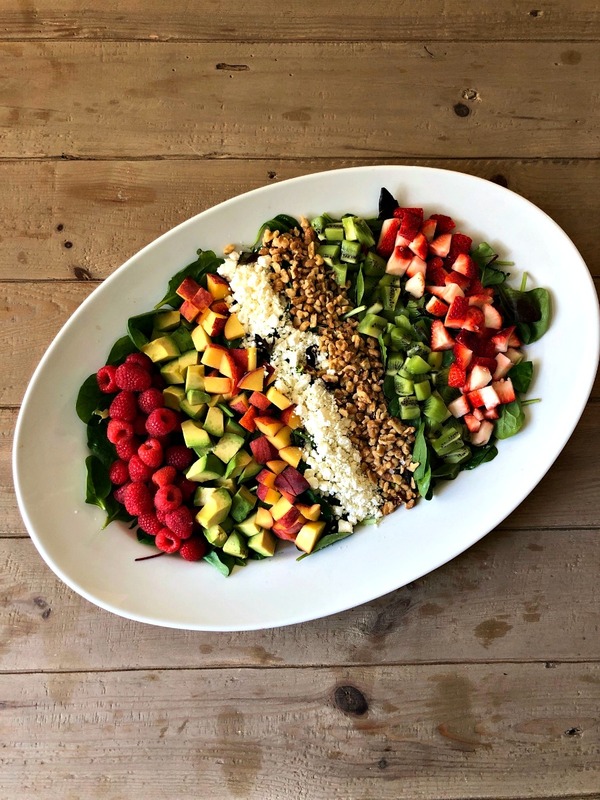 Place spinach on a large platter and layer fruit, nuts, and cheese on top according to photo. Whisk together dressing ingredients. (Can be made a few days in advance). Lightly pour over salad before serving and gently toss together.